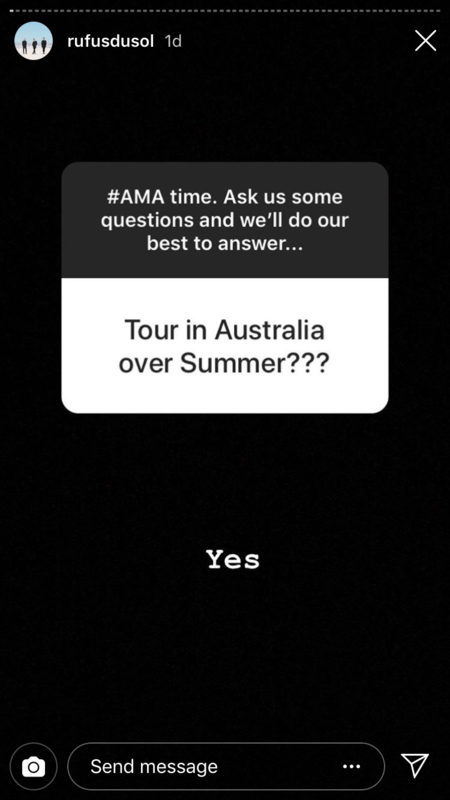 RÜFÜS DU SOL Rule Themselves Out Of Splendour 2019, Tease New Aussie Tour - Utter Buzz! 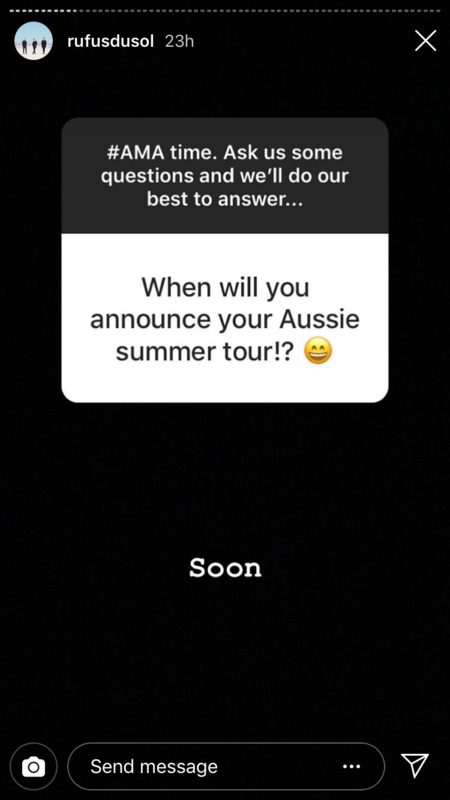 Australian electro trio RÜFÜS DU SOL (formerly RÜFÜS) have officially ruled themselves out of Splendour In The Grass 2019, while also teasing a new Australian headline tour over the summer period. 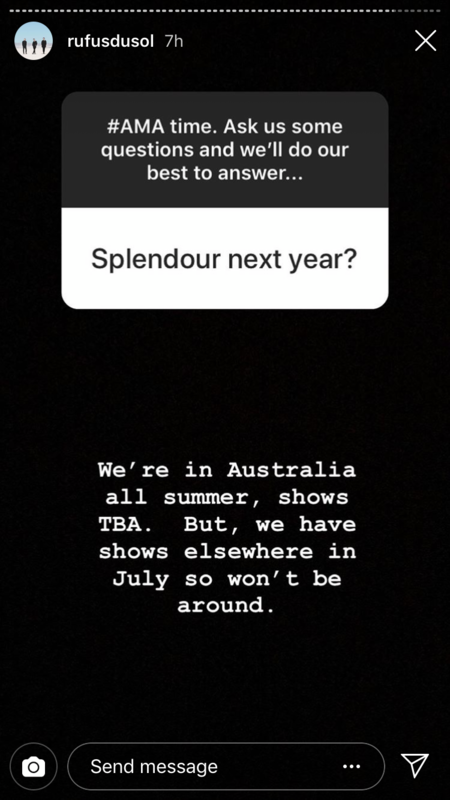 Taking to their Instagram Story for a Q&A session with fans overnight, the group said they will be announcing the tour “soon”, but they’ll be playing shows “elsewhere” in July 2019, so won’t be available for Splendour. 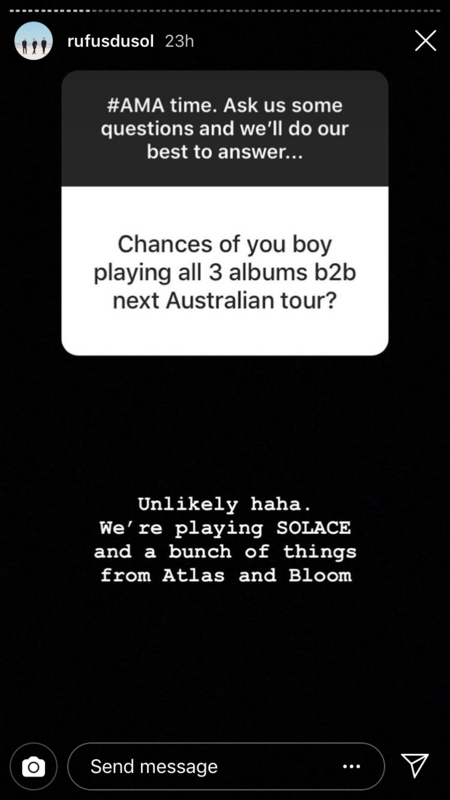 Speaking about their summer headline tour, the group said they’ll be performing tracks from their upcoming new album SOLACE (out 19th October), as well as “a bunch of things” from their previous albums Atlas and Bloom. View screenshots of the band’s Instagram Story posts, below. RÜFÜS DU SOL officially changed their name worldwide in May this year, after they began calling themselves RÜFÜS DU SOL in the US following a trademark dispute in 2014. The group have already released three tracks from SOLACE, the latest being ‘Lost In My Mind’, which you can stream below. The post RÜFÜS DU SOL Rule Themselves Out Of Splendour 2019, Tease New Aussie Tour appeared first on Music Feeds.